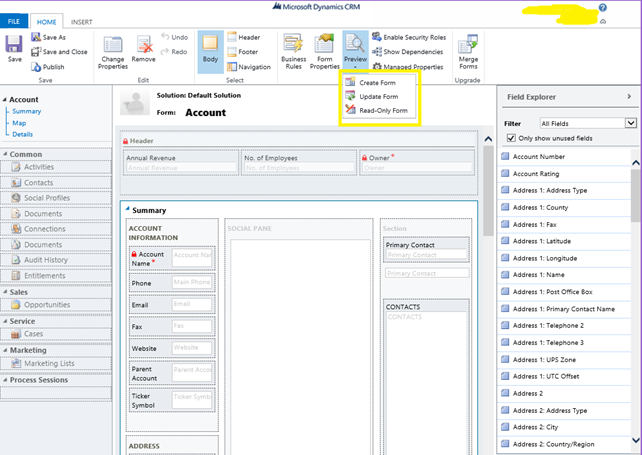 In Microsoft Dynamics CRM, Form customization is where we customize our form, change the form properties, and change settings of fields. After doing changes in form customization, we can preview changes done in the form without saving and publishing changes. This can be done just by clicking on the preview button and selecting the suitable option to preview the form. 1. Desktop client option supports Web/Desktop form preview with Create Form, Update Form, and Read-Only Form options to know how form will look after getting published. 2. Mobile client option supports Tablet and Phone form preview on Web/Desktop to know how form will look on Tablet and Phone after it is published. For Tablet form preview: Click on Preview->Mobile Client->Tablet (1024*768 4:3). For Phone form preview: Click on Preview->Mobile Client->Phone (360*640 9:16). 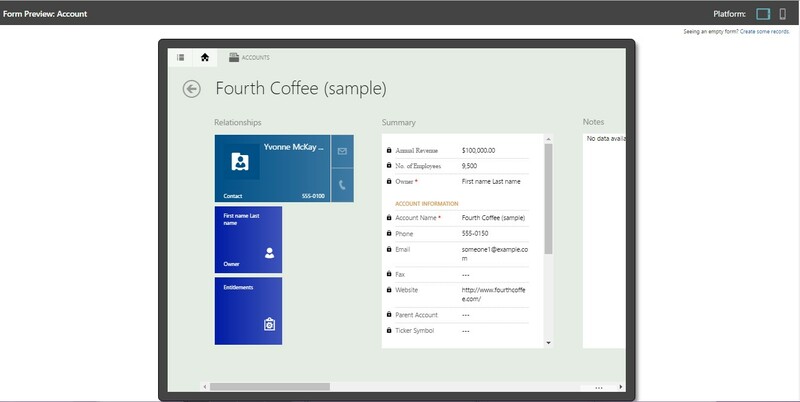 This blog will walk you through the enhancements in the customization preview available in Dynamics CRM 2016. 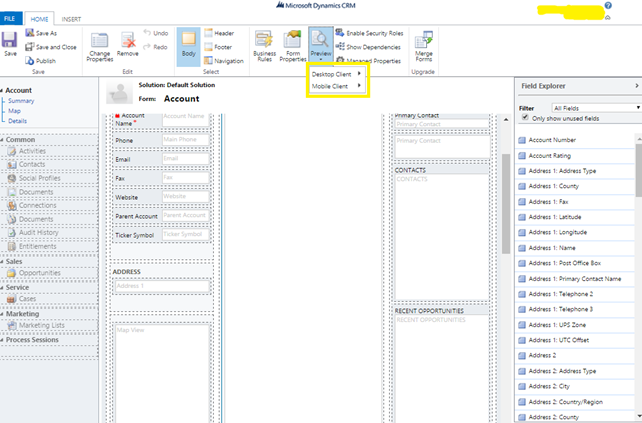 Want to clone Dynamics CRM records? 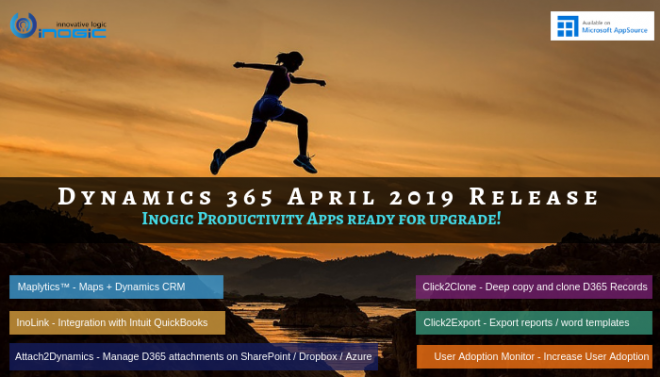 Try Click2Clone today!